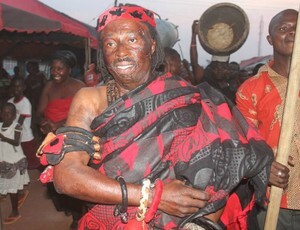 Fetish priest, Kweku Bonsam says the Kumasi Metropolitan Assembly should allow him to come and pour libation on the land of the new Kumasi City Mall. According to him, failing to do this would make the gods of the land angry and they will cause the building to collapse or catch fire. “I know a lot of people are happy about the mall but the right thing must be done. Whenever a new facility is put up, we pour libation to commit it to the hands of the gods. If we don’t do this for the Kumasi Mall, we will lose it in some months to come. It will catch fire and nothing can be done about it.” He said in an interview with Kessben FM.